With over 0.25 million deaths attributed to the negligence of medical practitioners annually, medical malpractice is the most significant and major contributor to the ever increasing number of wrongful deaths. Despite increasing cases of medical malpractices, a great number of cases go unreported as people are unable to realize that their loved one died due to direct negligence of the doctor or the health provider. Second, on our list with around 40,000 fatalities, auto accidents are also a major contributing factor behind wrongful death. From reckless driving to driving under influence of drugs, a vast majority of these fatal auto accidents are caused due to the negligence of a driver. The families of people who lose their lives in such accidents have the legal right to file a wrongful death claim against the person responsible. This process is much easier with the help of a wrongful death lawyer. One of the top three factors which lead to wrongful death is the plethora of workplace accidents which occur due to the negligence of the employer. Unsafe working conditions or dangerous equipment which leads to fatal accidents cause thousands of wrongful deaths across the country every year. What Role Does a Wrongful Death Lawyer Play? 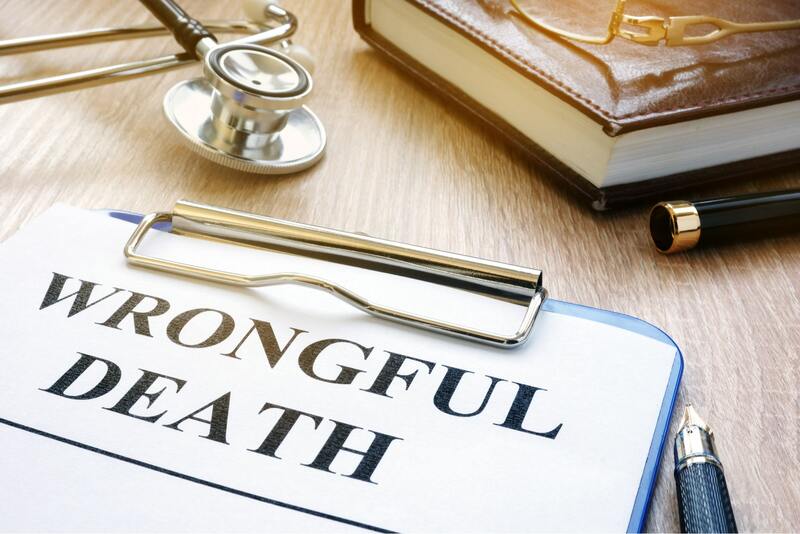 A wrongful death lawyer helps the family and kin of the deceased to obtain rightful compensation for their beloved’s untimely death which had occurred due to the negligence of another individual or entity. Obtaining compensation through a wrongful death claim requires establishing duty of care and liability on the person responsible. Only an experienced and reputable lawyer with a vast experience of handling such cases can assist you in obtaining your rightful compensation. If someone you loved or knew lost their life due to someone else’s negligence, consult an experienced wrongful death lawyer by contacting the Law Offices of John V. O’Connor at 262-671-1685 for a free consultation. The Law Offices of John V. O’Connor is a Kenosha Personal Injury law firm representing injury victims throughout Kenosha, Racine, Lake Geneva, Walworth and the surrounding areas in all areas of personal injury law including but not limited to Car Accidents, Pedestrian & Bicycle Accidents, Motorcycle Accidents, Insurance Disputes, Traumatic Brain Injuries, Wrongful Death, Dog Bites & Animal Attacks, Slip & Fall Accidents, Truck Accidents and all serious injuries. © 2019 by The Law Offices of John V. O'connor. All Rights Reserved.